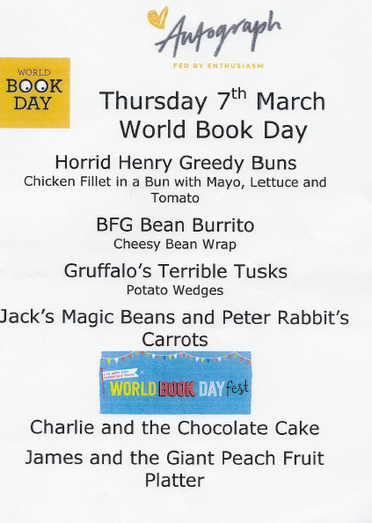 World Book Day is on March 7th. All children may come to school dressed as a book character. There will also be a special lunch - please see the menu below.